Happy January! Traditionally, in January we celebrate “Get Organized Month,” created by the National Association of Professional Organizers in 2005. That means no more procrastination – it’s time to get organized! According to the latest research, people spend up to an hour a day looking for things that they have misplaced. That’s 15 days a year of preventable wasted time. There are probably lots of things you’d rather be doing than hunting for that favorite pair of earbuds, locating kids’ papers that were due at school yesterday or just being able to glance around your home and see order. So how can Retro Planet help you declutter your life and create a Zen atmosphere in your home or office? Here are some ideas . . .
Glass canisters and ceramic crocks with retro designs are perfect for all types of storage and organizing. And they look great, too! We have a plethora (big word for the New Year) of glass jars, tin kitchen canisters and ceramic crocks that you can use in almost any room in your home. Available in many shapes and sizes, these will help you keep dry goods, hardware and craft supplies neat and right at hand. 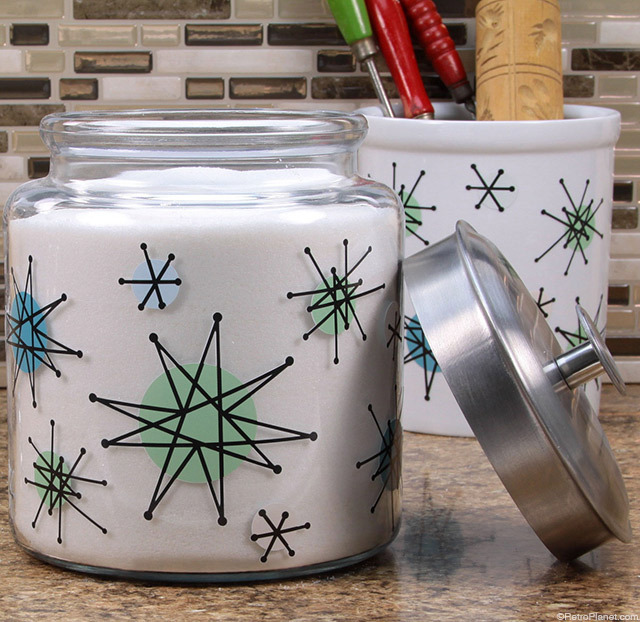 A clear glass jar will do anywhere, but you can also choose one decorated with colorful, retro decal designs that coordinate with a kitchen, garage, laundry room or man cave. And ceramic crocks make great storage solutions for utensils, writing supplies, garden and household tools – even as a retro ice bucket! We offer many colorful options to brighten up the winter months. According to the 80-20 rule, most of us use 20% of our stuff 80% of the time. Everything you use needs a home – so let’s make it look cool, too! Need a new place for keys, receipts, timely discount coupons and reminders? Check out our metal bulletin boards, strips and hooks and hooks. Though they’re simple, a few strategically placed fridge magnets will keep your important notes (and the kids’ homework) front and center. A decorative coat rack or display shelf — in the shape of tools or with cool Coca-Cola designs — adds style and functionality to a garage, porch or kitchen. Ditto for our zinc-cast Harley-Davidson coat hooks. 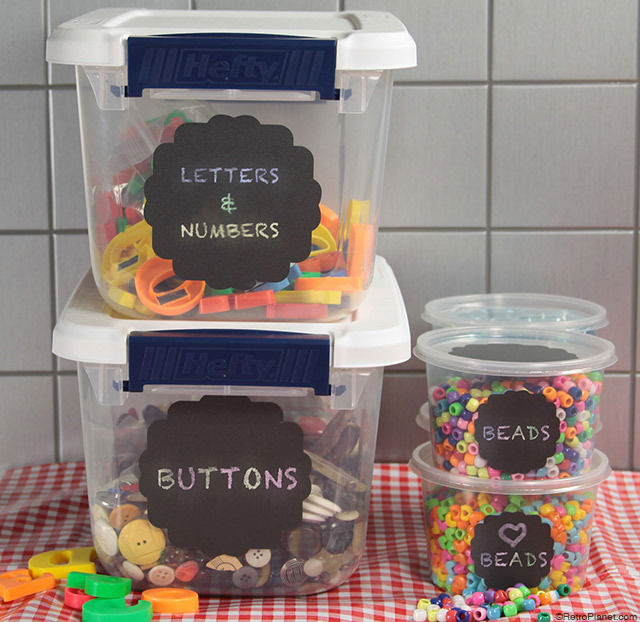 Chalkboard storage labels adhere to any non-porous surface to make organizing simple. Use chalk to write labels and edit any time you need. One of the best tools you can use to stay organized is a list, and lists need a home. Dry erase boards are common but sometimes a pain to mount or remove, so we suggest a dry erase wall decal. These can be applied to nearly any smooth surface and are perfect for jotting down important reminders. If you’re the crafty sort, use a chalkboard material wall decal. They’re reusable, wipe clean and come in fun shapes like cupcakes, chickens and pigs. Handy chalkboard stick labels let you identify the contents of jars, canisters, plastic storage bins and more. Preserve and display vintage record albums with LP frames made for either 45 or 33 rpm records. 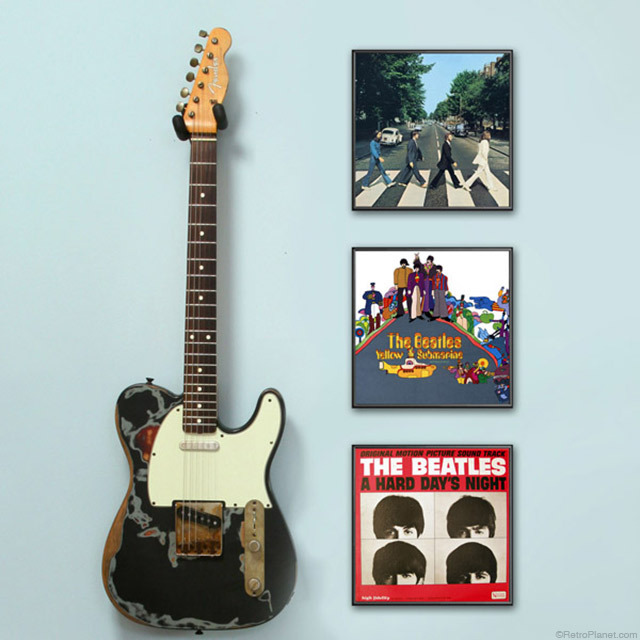 Add your own rock and roll touches to finish the look! Organizing also includes getting display pieces buried in the basement or piled on the floor up on your walls. Spruce up your decor pictures, posters and vinyl records using any of our frames and poster kits. We even have a video to show you how. 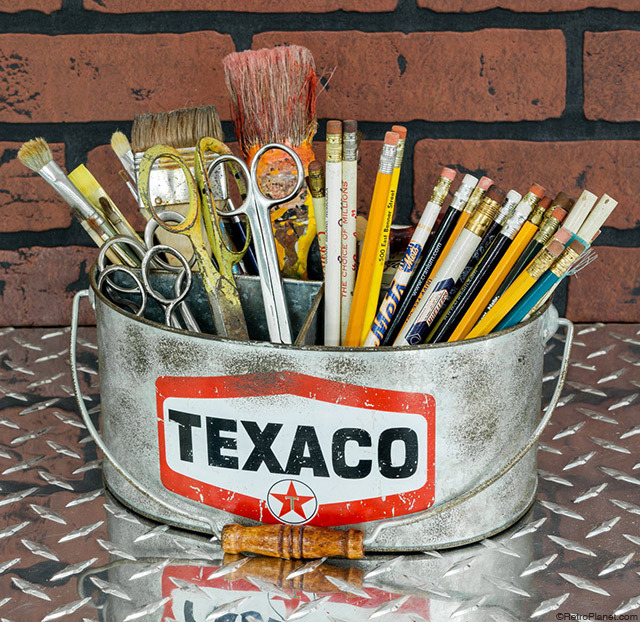 Our Texaco steel bucket is a great way to keep tools, pencils and other necessities at the ready on a desk or workshop bench. Any old pail will do, so check and see what you may already have on hand. Here’s a tip for you antique enthusiasts: Repurpose a stainless steel or galvanized steel bucket to store pillows, towels, cuddly blankets, or to just get those darn toys off the floor before grandma stops in! You can use your vintage flea market finds, or choose one of our reproductions. Have any tips for retro organizing? We’d love to hear from you and we are always open to new ideas! After all, next January we’ll be doing it all over again . . .